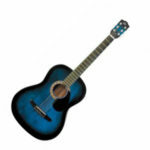 We have been hearing stuff that the cheapest acoustic guitar one can buy that is decent enough is around $100. We set out on an acoustic guitar hunting and found out that that statement seems to be a little off. Surprise, surprise, the least expensive we tracked down is way below $100. Enter the Rogue Starter acoustic guitar. You might be asking now, “How decent it really is?” Check out how this guitar fares. Let’s cut to the chase — the Rogue Starter is not the best low-end entry-level 3/4 acoustic guitar out there, but it gets the job done. That is all that matters, right? But there is more to this guitar than you could have ever imagined. The Rogue Starter boasts a solid sound, durable construction, and some good looks — all at a really low price point. First surprise, the mahogany body. Mahogany is often associated with much more costly guitars. But who would have ever thought that a 3/4 acoustic guitar in this price range is made of hardwood? That in itself is something you can take delight in if your major concern is the lastingness of your guitar. Add to that the strong maple neck and a basic rosewood fingerboard. The maple material makes the neck less prone to bending but easy and comfortable to play with. The Rogue Starter has six Martin strings and a set of six solid tuning machine to keep the guitar’s tune in place. It has a rosewood bridge without pins. That means you get a proper intonation and tension out of the box. It also has decorated rosette, yellow frets, and a smaller pickguard. Second surprise, the sound. 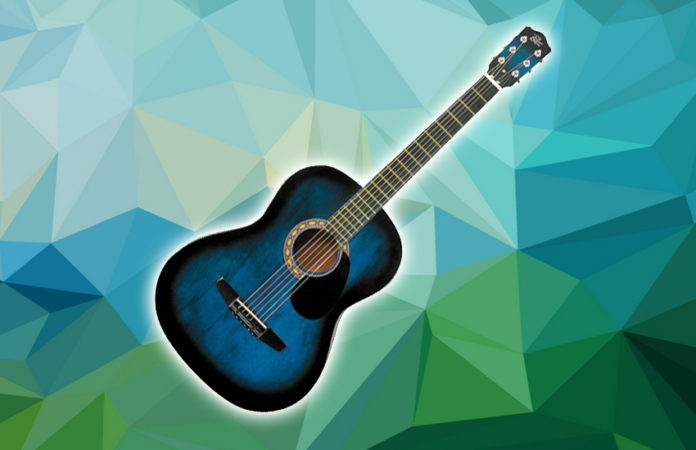 Well, you cannot expect an acoustic guitar in this price range to have the best sound quality. Look at the other acoustic guitars in this price range, you would get a really, really bad tone and projection. But what makes the sound really surprising is that it is pretty decent. The sonic attack is good enough for beginners. Even more impressive is the strong middles, clear trebles, and warm basses. Thanks to the slender and small mahogany body as well, it makes the sound more vibrant and punchy. On the flip side, you will hear some fret noise and low-level resonance. But then again, in this price range, that disadvantage is just minor. The overall look of the guitar in blue and black sunburst is pretty good. The Verdict: Should You Buy Rogue Starter? The Rogue Starter is a big surprise in a long time. I mean, who would expect a really cheap acoustic guitar to have great looks, strong build, and decent sound? There is so much surprise this guitar could offer. 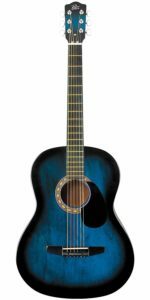 Solely judging the value for money, you definitely should get the Rogue Starter if you are looking for a 3/4 acoustic guitar. If you are buying this guitar for your kids or for yourself as a beginner, you will not waste a single dime on it.